On a fundamental basis, we process information with our five senses; Visual (sight), Auditory (sound), Kinesthetic (feel), Gustatory (taste), and Olfactory (smell), for the exception of physical and mental impairment. Five senses are the root basis of our perceptions. This is true no matter where you were born, what language you speak, or where you currently live. Sight, Sound, Touch, Taste, and Smell, the senses we are born with, transcend language, ethnicity, and age. True, some civilizations and customs put more emphasis on one sense over another and individuals have preferences, but we cannot deny that we each possess all five. I believe this to be the root basis of communication. In the late 60’s, Drs. John Grinder and Robert Bandler uncovered sensing dominance in communication. That is to say, individuals are born with a dominant sense. Their writings and teachings state that each individual embraces a single dominant sense, or modality, in communication; such as, he is dominantly kinesthetic, she is dominantly visual, or I am dominantly auditory. Many found this hard to accept as true, in that we are all five sensing. The confusion was resolved in the 80’s by Dr. Dawna Markova. Her research brought about a new understanding. Sensing dominance happens on three levels; conscious, subconscious, and unconscious. Although this may sound complicated, it’s not. 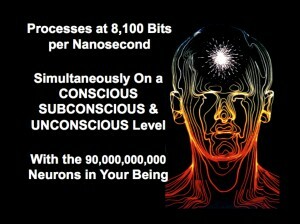 The conscious mind is involved in the present, the here and now. It is where we send and receive information, verbally and nonverbally. Not all of the brain possesses are of free will. The subconscious mind is where we sort information based on our personal values and beliefs, as we receive it before we send it. 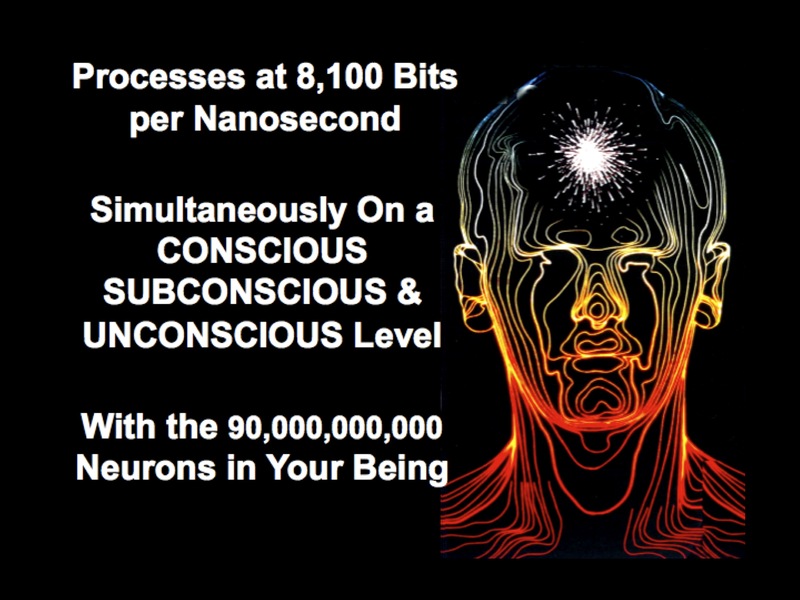 The subconscious mind cannot act alone. It can only do what the conscious mind tells it to do. 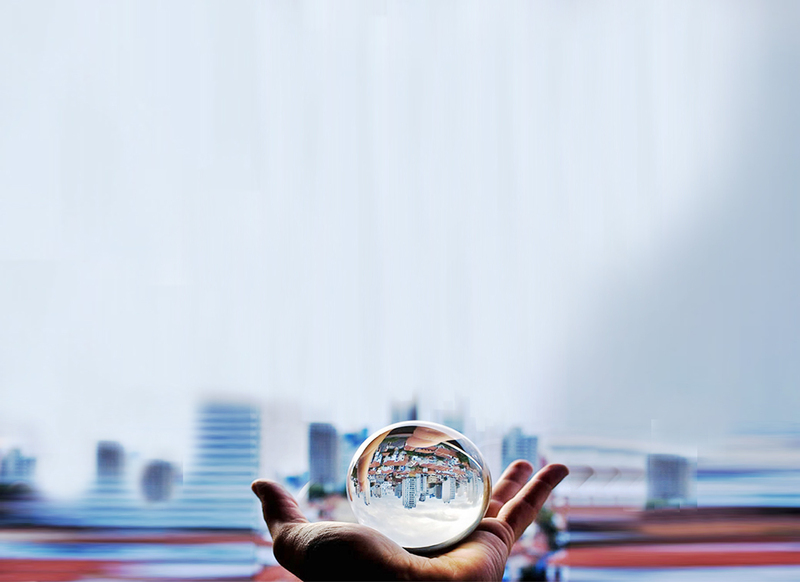 The unconscious mind is where we process information, mixing together what’s known with what we’ve just heard, seen, or felt to generate new information. Dr. Markova determined that we have a dominant sense on each level: As pictured here and read from the bottom up. This solves a question many had with Grinder’s findings, “How can we only be auditory and not have feeling or vision?” We are not dominant in one sense as Grinder first taught. Instead, we have a single dominant sense different on three levels. What Dawna Markova uncovered gives us great insight into to the use of senses in advertising and marketing. Her findings give us only six patterns in which we process information. 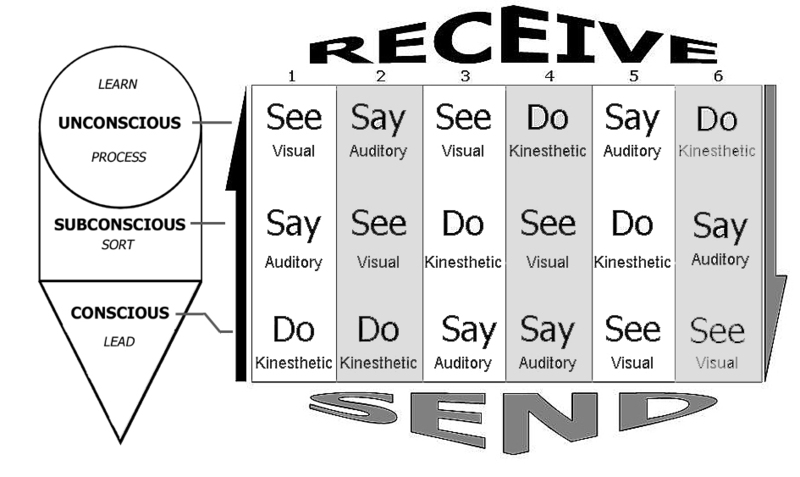 The six patterns are a combination of the conscious, subconscious, and unconscious mind and our three dominant senses Visual (see), Auditory (say), Kinesthetic (do), as outlined previously. I refer to this as the ‘communication stack’. 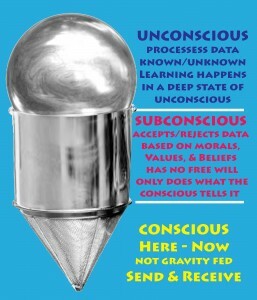 My patterns fall into ‘communication stack’ column 1 above (do, say, see); that is, I lead in my conscious, Kinesthetically (do), sort in my subconscious, Auditorily (say), and process and learn in my unconscious, Visually (see). Everyone is visual perceptive on some level. If your stack is in column 1, 2, 3, 4, you are visually sub-dominant. Being visual subconscious or unconscious says that visual marketing/advertising automatically registers in your mind without being conscious that it’s there. If your ‘communication stack’ is in column 5 or 6, you are ‘dominantly visually conscious’ and strongly react to visual stimulation. Your vivid imagination is constantly seeking or creating visual stimuli. You place a strong importance on an environment of colors, pictures, art objects, and photos. Some even leave the TV on as visual background. Visually conscious dominant individuals constantly qualify everything in view based on their visual perceptions: “That color looks good on you. She’s pretty as a picture. Oh, what an unsightly green car. My perception is…” ‘Dominantly visually conscious’ folks have been known to straighten pictures, theirs and others, criticize others on how they look, arrange their closets by color, darks to light. Visuals in advertising are extremely effective with the ‘dominantly visually conscious’ as they cannot help but pay attention. Those of you who see this as obvious or normal are clearly a depiction of ‘dominantly visually conscious’. To others, the thought of this is laughable, sounds like you’re reading on an auditory level. And still others find it unsupported, I sense that you’re kinesthetic. The last three sentences are examples of different dominant senses. Let’s set them out and underline the word choice that makes them different. Those of you who see this as obvious or normal are clearly a depiction of ‘dominantly visually conscious’. You can see how the underlined words paint a picture as to be noticeable to the visual dominant. To others, the thought of this is laughable, sounds like you’re reading on an auditory level. Hear how the words have a different tone. And still others find it unsupported, I sense that you’re kinesthetic. The words take on a whole different feel. The concept of three dominant and distinct languages based on our senses is not apparent to most; however, once it is presented visually, auditory, and kinesthetically, it becomes obvious. The interesting point is that it’s not new and it’s not complicated. We are all aware that our perception is five sense-based and that words are sense specific. What is new, however, is the realization that individuals use one specific set of sense dominant words over another. “I understand,” say you who are ‘auditorily dominant’. “I get it,” impart the ‘kinesthetically dominant’. “I see,” reveal the ‘visually dominant’. Brain scientists tell us that 84% of all learning is visual. Reflect back to preschool, or first grade, and remember the pictures around the room depicting the letters of the alphabet. When I say, “A is for ___?” If you didn’t answer “apple,” you said “aardvark,” exactly the way you learned it; a picture of a shiny red apple with its stem and green leaf and a big letter A right next to it to help you learn the first letter of the alphabet. Remember your first books or those you are currently reading to your kids or grandkids, lots of pictures, few words. Can you imagine how little you would have learned if those books were only filled with words? Our granddaughter, Mia, now 14 months, loves books. She points at every one she sees saying, “Book!” over and over again until I pick it up, open it and show it to her. The minute she sees that there are no pictures, she loses interest. Not until late in second grade do educators start using books without pictures. Perhaps even this is too soon. This need for pictures is true no matter how old you are. Recently my laptop went on the fritz. It was a problem with the connection for the power cord in the rear of the computer and I had to send it in for repair. Not wanting to be without my data, as I was presenting to a group in Alabama, I purchased an external hard drive enclosure. I got my owner’s manual out and looked at how to remove the hard drive and did so before I sent it in. The next task was to place that hard drive into the external enclosure so that it could be used on a borrowed laptop. Upon opening the box and removing the instructions, I was shocked to find no pictures, diagrams, or drawings, just words telling me how to install my hard drive into the enclosure. There wasn’t even a picture to demonstrate how to get the flipping thing apart! He came over, picked up the instructions, and thumbed through them as if to doubt my claim. He then gave me a look, shook his head, and said, “Well, these are worthless,” threw them away and put it together. What do people who don’t have a Wayne to call do? Think of all the things you’ve put together; gas grills, baby cribs, fake Christmas trees, printers, and your kid’s toys. How would you have done it without pictures? But, like Wayne, once you have done it, you can do it again, right? Once more, proving that 84% of all learning is visual.